The Empire is no realm of peace. Its creation goes back to the wars against the Elves, its expansion was won with the subjugation of neighboring kingdoms, and its disintegration is marked by uprisings from within and turmoil along its borders. This army book describes the mighty regiments and war machines of the Imperial army, the forces of the fanatical Order of the Purifying Light, and the stalwart Provincial armies and their special troops. In addition to detailed unit descriptions, illustrations for painting your miniatures, and a new spell list for Imperial wizards, priests and battle mages, you will find complete rules for recruiting Imperial armies. 45 new recruitment cards contain the information needed to field units such as Mounted Lancers, Masters of the Order, or Battle Bull Herds. The cards also describe powerful heroes and artefacts, such as the Ring of Flames, Godfrend’s Cloak, and the Gem of Fate. 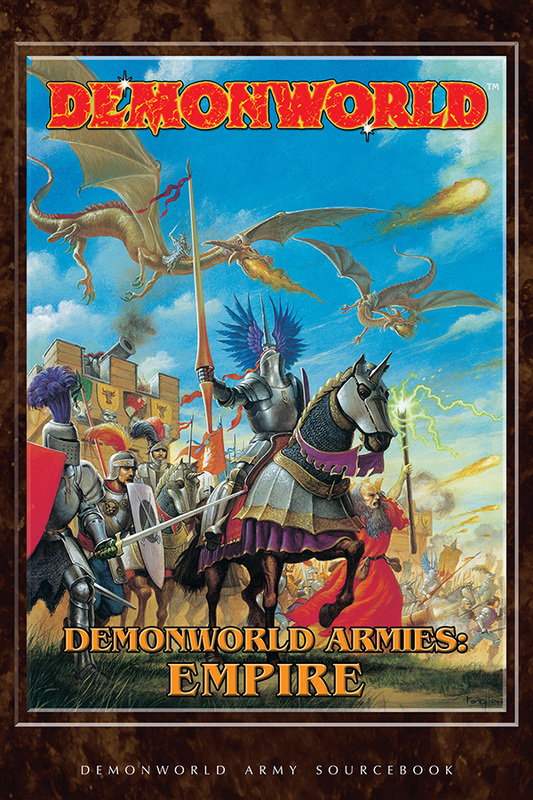 Download contains a PDF scanned image copy of the original DW army book, a copy of the small-format army book PDF (matching the print version), and a separate Accessories Pack PDF.